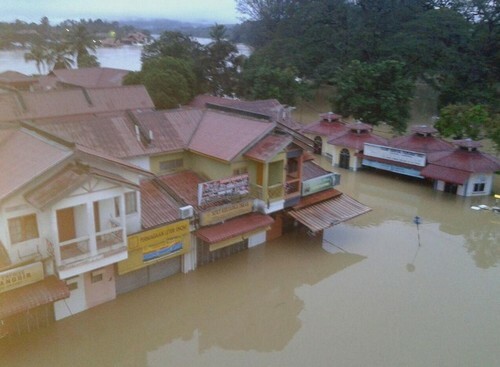 KUALA LUMPUR - Nearly 120,000 Malaysians have been forced out of their homes in the worst flooding in decades, a disaster that has forced Prime Minister Najib Razak to cut short a holiday in the United States. 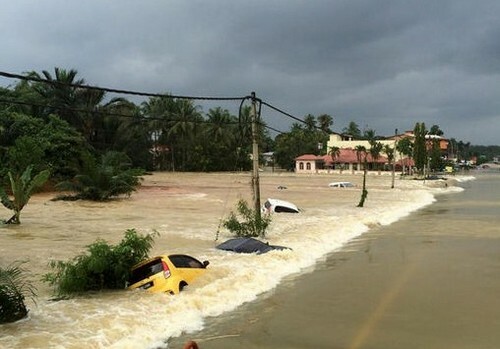 Kuala Lumpur has also cancelled its annual New Year celebration, in a mark of respect for the record number of evacuees, with several state governments following suit. 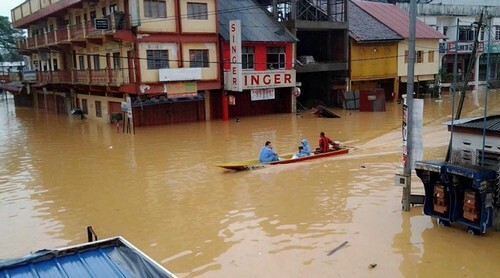 At least five people have been killed by the rising waters, reported Agence France-Presse (AFP). 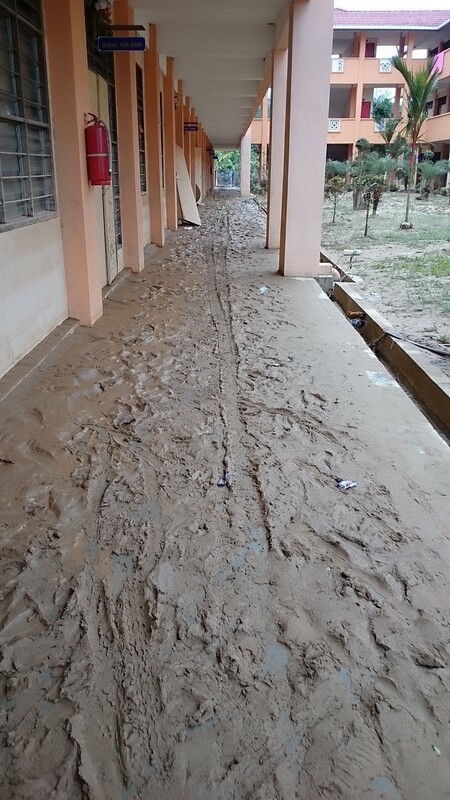 As of 3pm yesterday, 118,896 people had been moved to flood relief centres, mostly in the northern states of Kelantan (45,467), Pahang (35,736), Terengganu (31,001) and Perak (6,119). 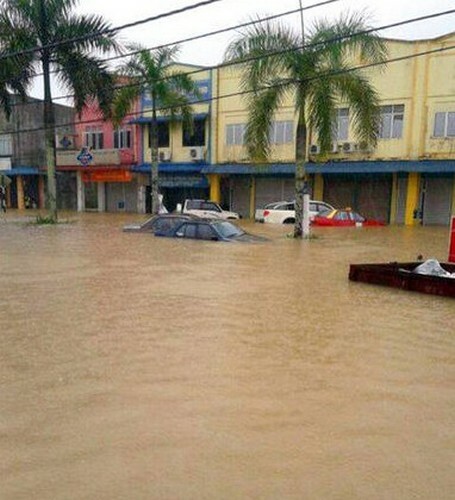 Johor became the latest state to be affected, with 214 displaced in the towns of Kluang and Muar yesterday. 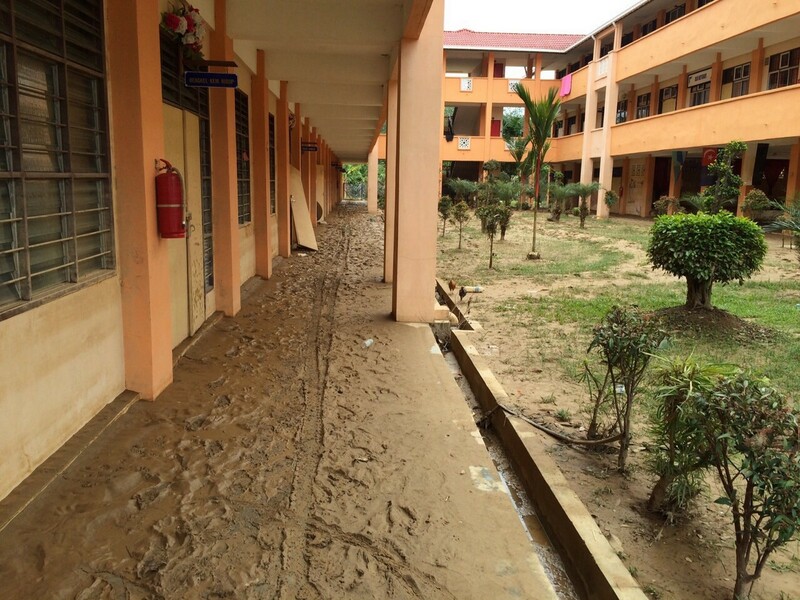 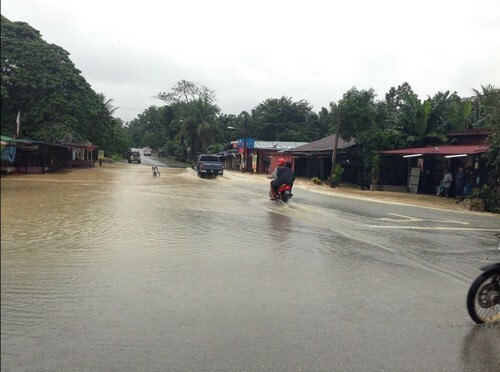 Flood waters in the southern state were still rising in the afternoon, a National Security Council spokesman was reported by Bernama news agency as saying. 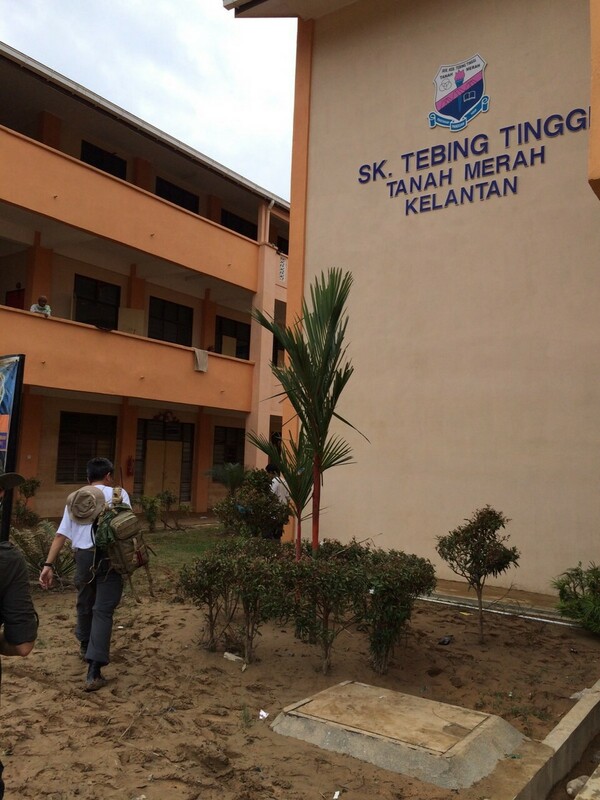 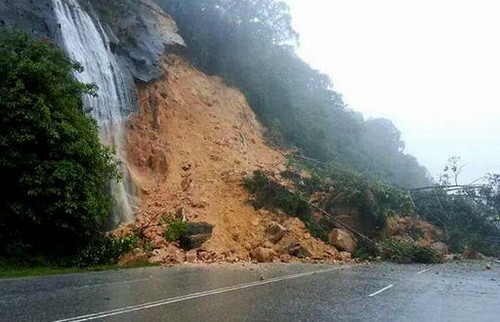 Datuk Seri Najib will touch down in hardest-hit Kelantan today, according to a government statement. 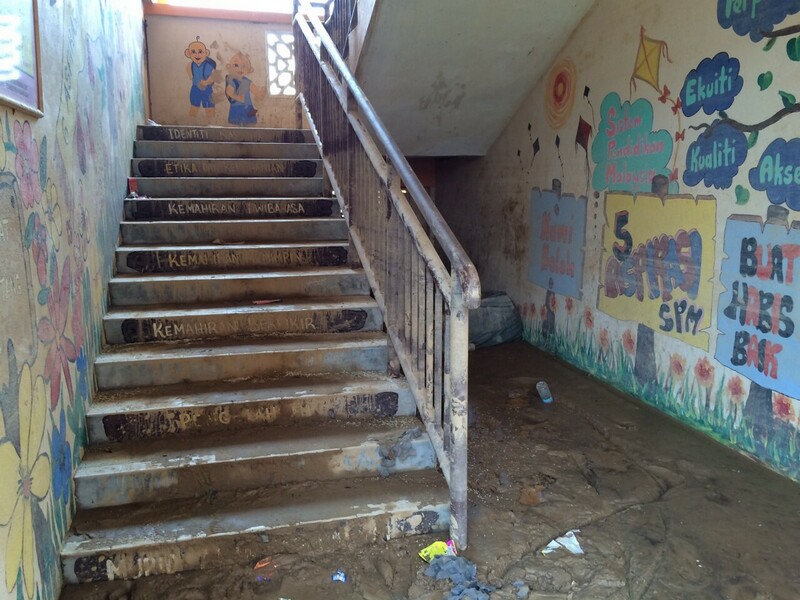 He deemed it necessary to "personally oversee the response", following reports that the situation had worsened. 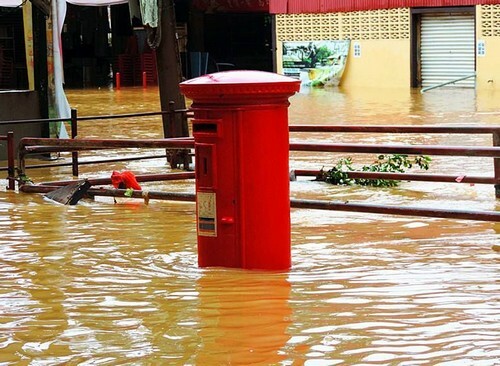 "I am deeply concerned by the floods. 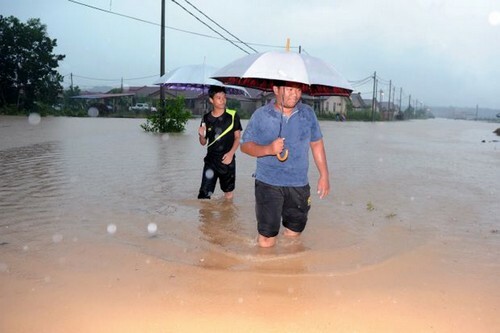 I feel for the people who have lost their homes, and the families who have lost loved ones," he said in the statement yesterday, adding that he would chair disaster relief meetings to seek new measures once he returned from the US. 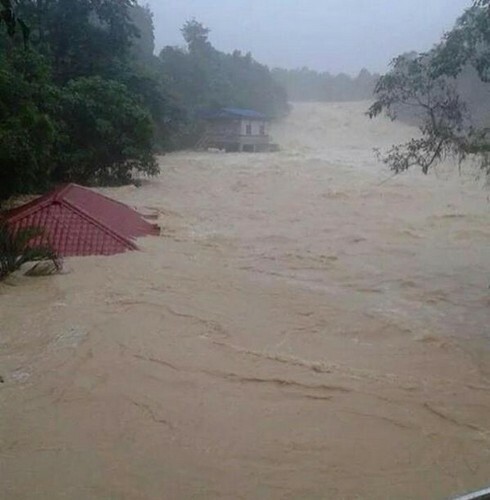 The Prime Minister had come under criticism after photos of him playing golf with US President Barack Obama in Hawaii surfaced earlier this week while tens of thousands, including in his home state of Pahang, were being forced out of their muddy homes. 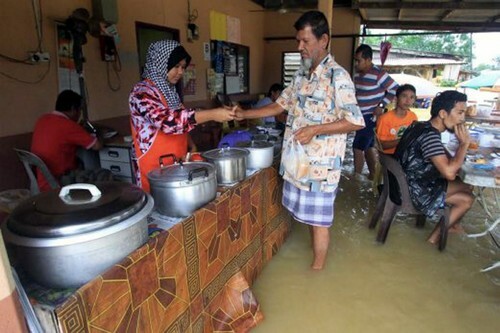 But Mr Najib said he has been in "constant contact with" relief teams "who have assured me that they are doing everything they can to help those who have been affected". 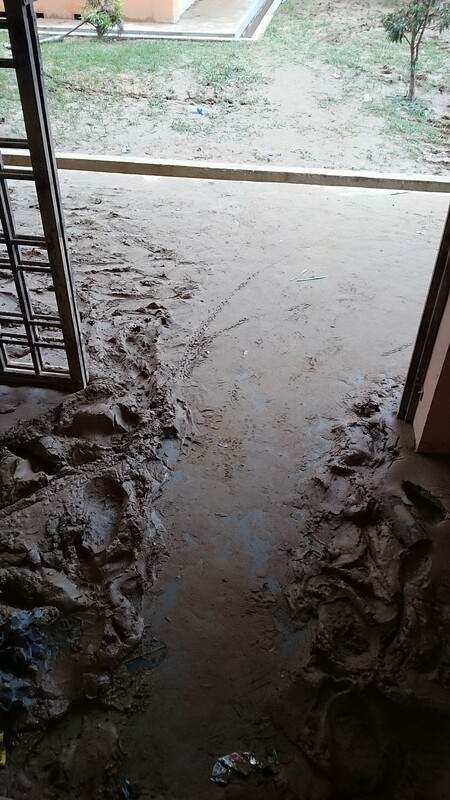 "But I want to see the situation for myself and be with the people," he added. 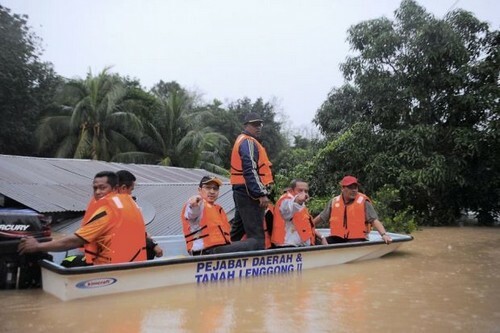 Deputy Prime Minister Muhyiddin Yassin has been in charge of relief operations in Mr Najib's absence and ordered more assets to be deployed yesterday, after describing the floods as worse than anticipated. 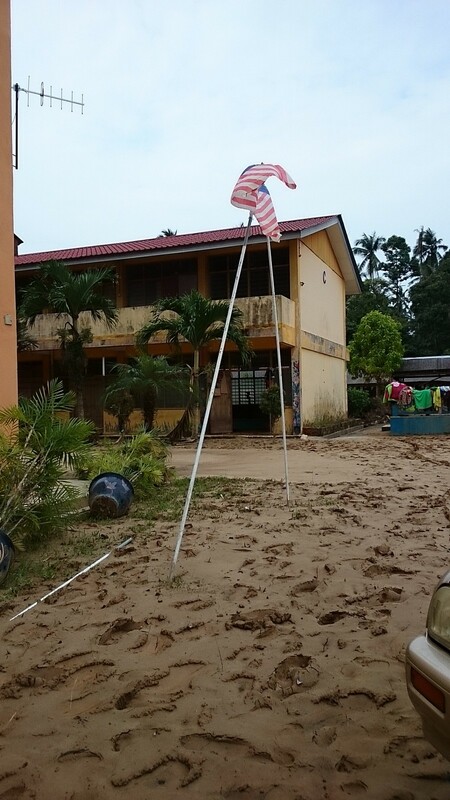 "We are using seven helicopters... these may not be enough," he was quoted by Bernama as saying in Kelantan. 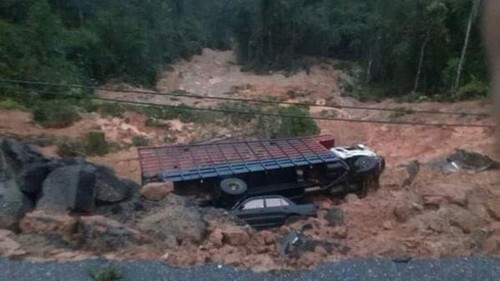 International Trade and Investment Minister Mustapa Mohamed also admitted that government relief efforts needed to be improved, as distribution of aid in his home state of Kelantan was hindered by waterlogged roads. 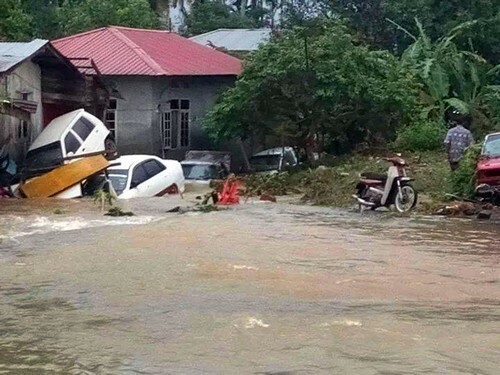 Although year-end flooding is common in the north-east due to the monsoon season, rainfall in the past week has been excessive, and the damage has been exacerbated by deforestation that activists say is among the worst in the world. 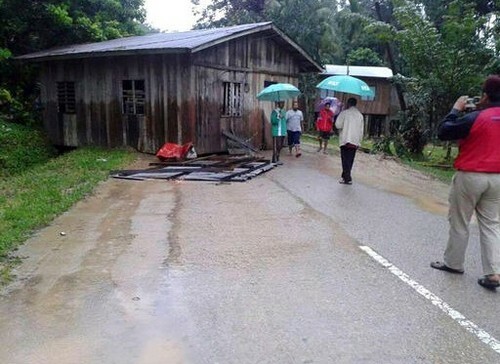 In a rare piece of positive news, however, around 100 tourists stranded in the national forest reserve Taman Negara have been rescued and taken to a relief centre, reported AFP. 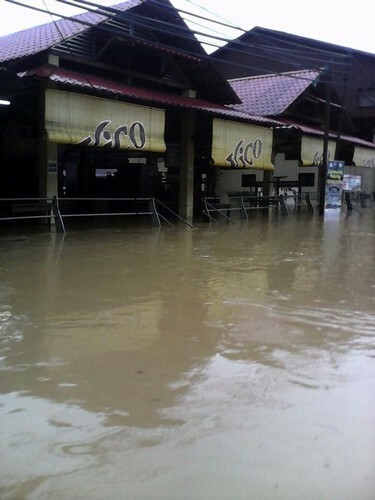 Flash floods have also hit Kuala Lumpur and surrounding areas in the Klang Valley.